Oliver Stone’s feature film debut concerns a horror author named Edmund (played by Dark Shadows’ Jonathon Frid) who is plagued by nightmares. When he and his wife have a bunch of guests up to their isolated house for a relaxing weekend. After a few go missing, Edmund’s friends and family are confronted with three awful beings who are manifestations of his nightmares. The guests are either killed or forced to go through a series of tests to see who deserves to live. Can anyone put a stop to this hellish nightmare? What a strange film! It’s obviously very low-budget and has a distinct gritty 70s quality. The characters from Edmund’s dreams are each fascinating and truly make a scene. We have the lovely Martine Beswick as the provocative and sultry “Queen of Evil,” who appears to be the matriarch of the evil trio. There’s also the exotic strongman giant Jackal (Henry Judd Baker) and a dwarf named Spider (none other than Hervé Villechaize!) who may be tiny but is just as evil! The trio’s antics are amusing, but also very unsettling. The cast also features Troy Donahue in a random role as well as the iconic Mary Woronov, who plays a straight-forward “bored wife” role (yet still oh so very funny! ), proving again that she has much more to offer than the camp factor. The score in the film is very fascinating and varied. At one point, there’s a sudden persistent and deafening siren-like synth that I swear was swiped by Tarantino for “Kill Bill.” While the film is eerie and unpredictable most of the time, it also has a very charming sense of humor that suits it well. I’m thrilled this rare film finally made it to DVD, but it really deserves a better treatment. The print is hard to see, especially in the nighttime scenes. 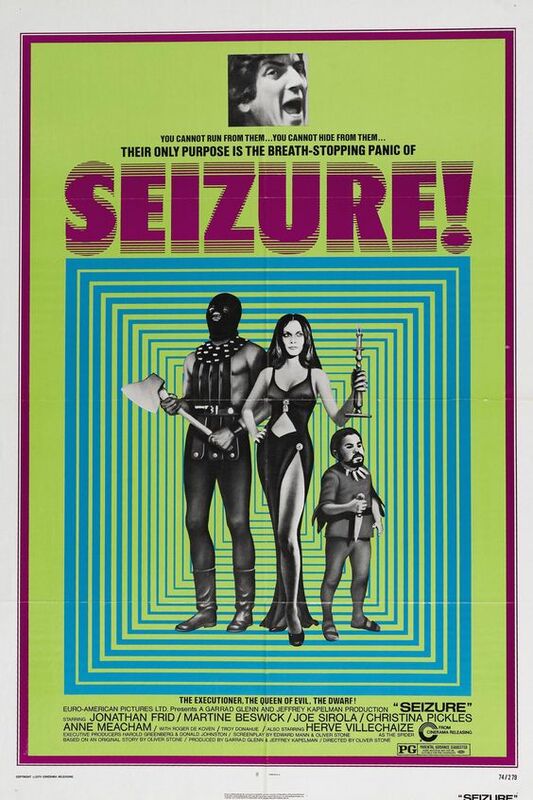 Still, any fan of 70s horror should check out this quirky and original film.